Bryan Singer Directing New X-Men Movie for 2018? Earlier this month, we reported that director Bryan Singer is returning to Montreal for reshoots on his upcoming superhero adventure X-Men: Apocalypse, which is slated for release on May 27, 2016. 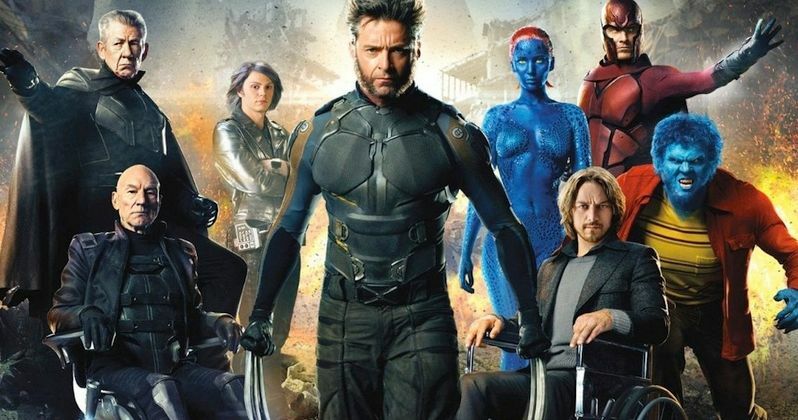 After that sequel hits theaters, many have wondered what 20th Century Fox has planned for the X-Men franchise, since this adventure will close out the current trilogy that includes 2011's X-Men: First Class and last year's X-Men: Days of Future Past. Today we have a new report from Journal de Montreal, which claims that Bryan Singer is coming back to Montreal in 2017 to direct a new X-Men film that will hit theaters in 2018. No plot details were revealed for X-Men 7, but this report claims that Bryan Singer will open its production offices in November 2016 at Montreal's Mel's Studios, to prep for a shoot that will begin sometime in 2017. Mel Studios' Michel Trudel spent last week in Los Angeles, where he finalized a deal with 20th Century Fox's Joe Hartwick for this new X-Men movie. Here's what Michel Trudel had to say in a statement about the latest project. "It was a miracle that we managed to attract an X-Men in Montreal in 2013. To convince Fox to return for a second and now a third is simply amazing. It's always great news for our industry when we welcome this kind of production. We talk about films which have budgets of more than $200 million. A big production like X-Men generates direct and indirect economic benefits of hundreds of millions of dollars and makes work more than 2,000 Québec technicians. Fox People are very satisfied with their experiences of shooting in both Montreal and this is one of the reasons why they wanted to come back for the next X-Men. They like our facilities, our technicians and they appreciate the fact that our studios are located five minutes from downtown and 15 minutes from the airport. Bryan Singer also like the city. It feels good to Montreal." This news hasn't been confirmed by 20th Century Fox yet, but the news of Bryan Singer filming another X-Men movie in Montreal isn't terribly surprising. The filmmaker shot both X-Men: Days of Future Past and the upcoming X-Men: Apocalypse in Montreal. Still, we don't know which actors from X-Men: Apocalypse are coming back, or who is writing the screenplay at this time. Heroic Hollywood claims that this project will center on the cast of this trilogy, with James McAvoy and Michael Fassbender being eyed to return. Simon Kinberg wrote the scripts for both X-Men: Days of Future Past and the upcoming X-Men: Apocalypse, but we'll have to wait and see if he will be brought back for this untitled X-Men adventure. Next year's X-Men: Apocalypse is set in the 1980s, with X-Men: Days of Future Past set in the 1970s and X-Men: First Class set in the 1960s. It remains to be seen what era in this timeline will be explored next in this new X-Men movie, especially since X-Men: Days of Future Past essentially created a new present-day timeline. It's also worth noting that 20th Century Fox recently announced a July 13, 2018 release date for an unspecified movie, and it's possible that this X-Men project could be given that release date. What do you think about this mysterious X-Men 7 movie?